In today's highly digitalized environment, businesses have to be incredibly careful about customer privacy and protection. With an increasing amount of devices and platforms being connected and integrated, it puts organizations at extreme risk for disruption and security breaches. When a hack does occur, it compromises sensitive data, information and assets that could lead to a loss in revenue, lessened customer loyalty and reputation damage. Furthermore, a recent study conducted by Centrify found that the majority of consumers in the United States today are less likely to do business with a company if it has been the victim of a security-related attack. Clearly there is a lot at stake for organizations, making it imperative to take every possible precaution against fraudulent and criminal activity. One of the areas where this is especially important is with payment transactions. Essentially every business, across all industries, uses some form of financial exchange between itself and its customers. This means it handles highly private information not just about a client's personal details, but that individual or business's banking materials as well, such as credit card, routing and account numbers. 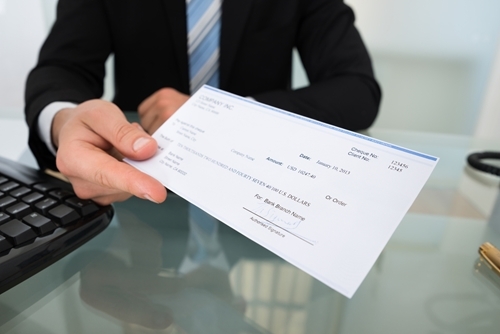 But one of the most common methods of fraudulent activity has to do with checks. Of course, the solution is not to simply stop using these transactional forms or methods of payment. Aside from the fact that some people will always prefer paper materials versus electronic versions, ultimately paying through a digital platform does not guarantee 100 percent that the transaction won't be accessed by hackers or unintended parties. Treasury and risk consultancy firm Strategic Treasurer recently released findings from a survey it conducted, which revealed the frequency and intensity of payment fraud attacks is increasing – not just with checks but with wire transactions as well. In fact, 25 percent of participating companies revealed this type of hack had led to financial loss. In the announcement, Craig Jeffery, one of the organization's managing partners, explained that many corporations are not doing enough to protect themselves against payment fraud – even though they are aware of the some of the high-profile cases that have occurred recently. "This survey clearly demonstrates the seriousness and reach of the growing payment fraud issue," Jeffery said. "For attackers, crime is paying off and the lack of protection surrounding their targets has brought about an escalation in their assault. We want to ensure that companies truly understand the magnitude of this threat and the risk implications so that they can take the necessary steps to proactively guard against attack across all areas of risk." To help mitigate the risk of criminal or fraudulent activity occurring from transactional forms, checks or other business documents, it is highly recommend that organizations order paper products only from print providers that specialize in document security features. By embedding an additional layer of protection in the materials, it decreases the chances of an unintended party being able to penetrate the personal data and payment information of a company's customers. Furthermore, the right supplier will have a dynamic lineup of security solutions to choose from, such as invisible and visible fibers, artificial watermarks and primary indicator stains. Firms looking for more advanced and sophisticated features could also benefit from working with a vendor that offers TonerFuse II coatings and/or TechMark PenTick Plus. Considering the severe consequences that a business can experience as a result of payment fraud and other types of security invasions, the advantages of partnering with the right printing services company far outweigh any inconvenience or productivity delays it may take an organization to switch providers.